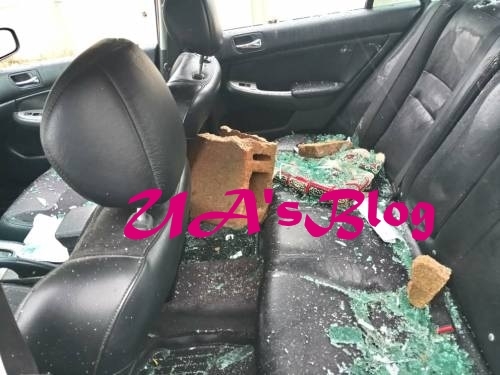 Some political hoodlums have attacked the office of the All Progressives Congress (APC), and vandalize some vehicles of chieftains of the party after an Executive Committee meeting. Thugs on Friday, resorted to violence in protest against the decision of the National Executive Committee of the All Progressives Congress (APC) to choose its candidates for the 2019 elections by direct primary. 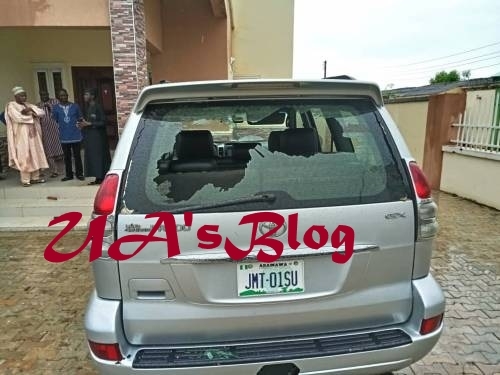 According to a report by SaharaReporters, the thugs allegedly vandalised vehicles and other property at the political office of the sacked Secretary to the Government of the Federation (SGF), Babachir Lawal, in Yola, the Adamawa state capital. Mustapha Atiku Ribadu, brother of Nuhu Ribadu, former Chairman of the Economic and Financial Crimes Commission (EFCC), disclosed that "some youth working on the instruction of Governor Bindow have attempted to break into the office complex of former SGF Babachir where we were having our meeting". "They came in their droves chanting 'Away with Direct Primaries, Adamawa Sai Bindow', but could not access where we were meeting. The next thing we heard was the sound of a smashed car windscreen, and three vehicles of Babachir's political associates were vandalised." However, Ahmad Sajoh, Commissioner of Information and Strategy, distanced his principal from the attack. According to Sajoh, his principal does not believe in politics of thuggery. He, however, blamed "desperate politicians for heating up the polity in the state". Yekini Nabena, acting National Publicity Secretary of the APC, had released a press statement during the weekend, updating the party’s NEC’s decision on the mode of primaries.